Little Dude loves playing with his cars, and water, so naturally, a car wash is an exciting activity for him! 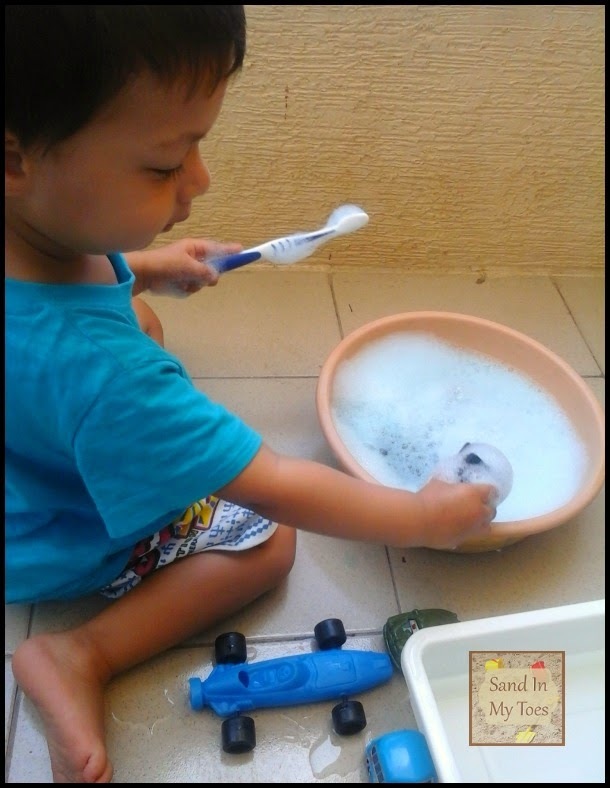 All I did was put some colour and dishwash soap in water and he was happily washing his cars with an old toothbrush. The blue coloured water made it all the more interesting for him! Check out some of the other fun activities we've been doing. My son loves water and cars too! Thank you, he's always loved washing things! Then I'm sure he'll love this activity! Thank you, it kept him busy for a while! I hope he still has the inclination by then!